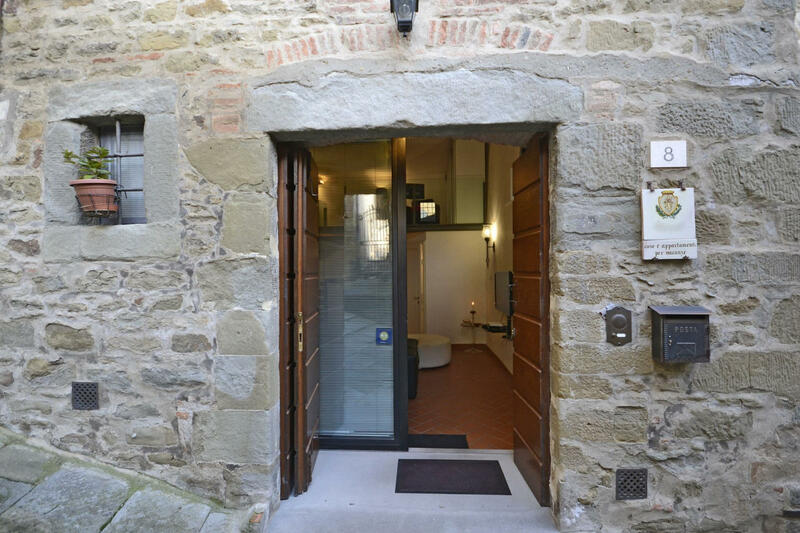 Mazzuoli House is located in the centre of Cortona, Italy in the tourist area "Cortona And Surroundings". 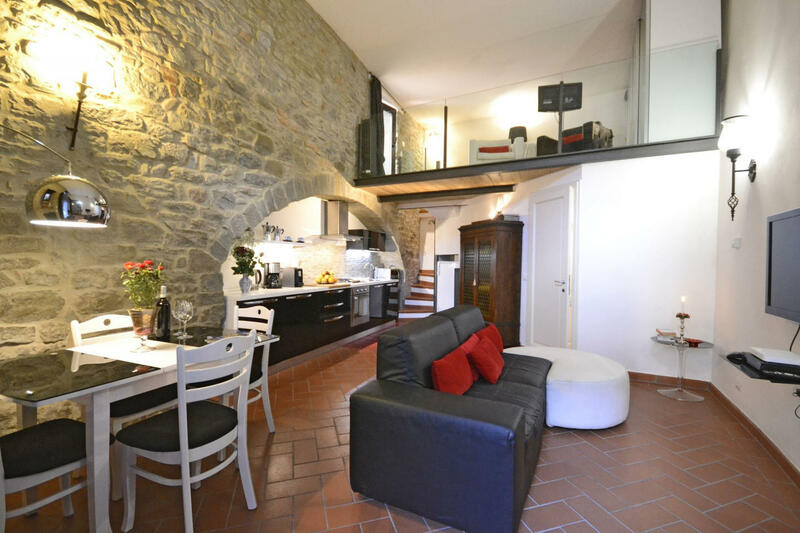 Property Mazzuoli House is a nice stone building (105 sq m) that includes WiFi internet. The property can sleep up to four guests comfortably in two bedrooms with two bathrooms. Near the property there are local shops where you can find fresh produce and other items, but if you need a larger shopping center there is one located only 4 km (3 mi) from the property where you can purchase food and personal items. 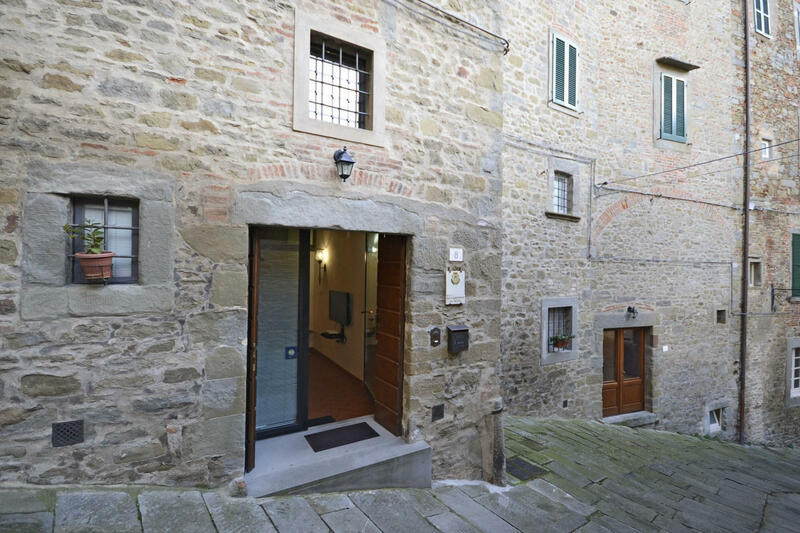 After arriving you will be welcomed by the owner or manager where you’ll find a beautiful clean well-maintained property perfect for a splendid vacation in Tuscany. Regardless of how you spend your days - sightseeing, shopping, visiting museums or just driving in the countryside, when you arrive home you can relax with your family and friends for a perfect ending to another day in Tuscany. A real time-saver is having a washing machine on the property that is available for the guests to use. If you enjoy cooking for family and friends there is a well-equipped kitchen including coffee machine, microwave, toaster, stove and refrigerator, as well as, plenty of tableware and cutlery for up to four people. There are many close-by cities and towns that you can visit while on holiday, each one with its own history and culture that you can enjoy during your visit. The highway is only 17 km (10 mi) from the villa and there is a train station 2 km (1 mi) away. Cooking Lessons - Discover from a local chef the techniques required to master Tuscan cuisine. The owner can schedule to have a chef come to the property for a cooking lesson for any number of people in your group. It's a fun way to spend time with friends and family while discovering the secrets vital to prepare mouth-watering Tuscan meals when you return home. For more details and the additional cost, please contact us. Baby Sitting - A babysitter can be scheduled at Mazzuoli House. If you're traveling with kids and would like some alone time, talk to the owner directly about this option after arriving.